Adventures of a five foot traveler. If you want a proper account of our time in Ho Chi Minh City, Vietnam’s largest city (and coincidentally my least favorite city), you’ll have to visit Dom’s blog. I used our normal blogging time to apply for jobs (if any potential employers are reading this, please note that I prioritize work even while travelling!) and realistically there isn’t much to write about anyway. 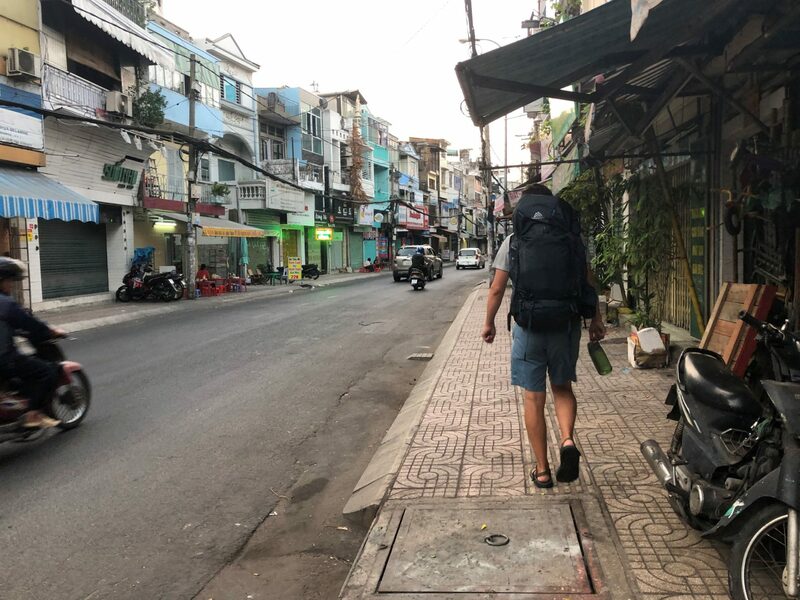 Before I rant about Ho Chi Minh City, I want to emphasize how much I love Vietnam–honestly, it may just be my favorite country of our travels and we’ve already created an itinerary for our inevitable return to the country (Sapa, I’m looking at you). But Ho Chi Minh City is just terrible. The streets are so dangerously chaotic that we chose to Grab home from dinner one night after exhausting ourselves with the twenty minute walk to dinner (exhausting not because of the length, but because every twenty meters another motorbike almost runs you over; oh yeah, and you’re coughing up a storm the whole time because of the insane pollution). There were no big parks in which to seek refuge and we even had to abort our plan to walk along one of the rivers because we literally could not safely cross the multi-lane street to get to the river walk. 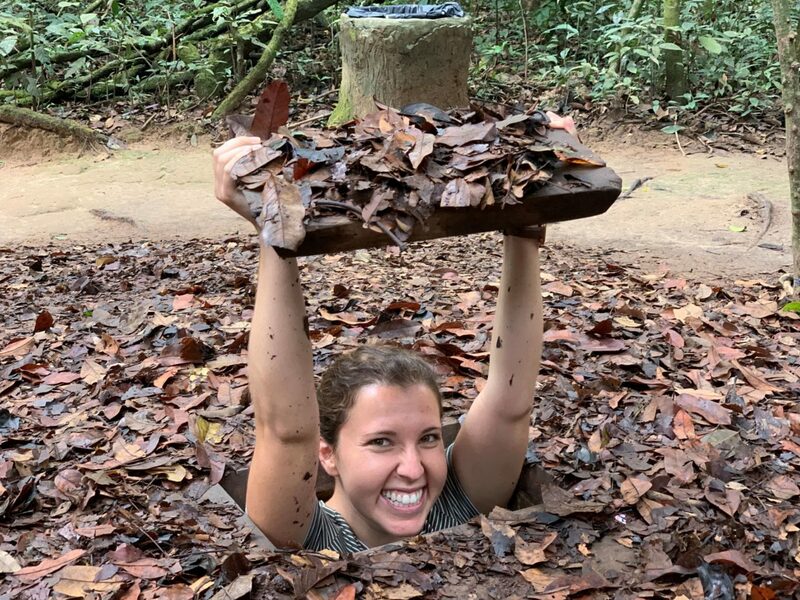 Needless to say, I was more than happy to escape the city for a tour of the Cu Chi tunnels. 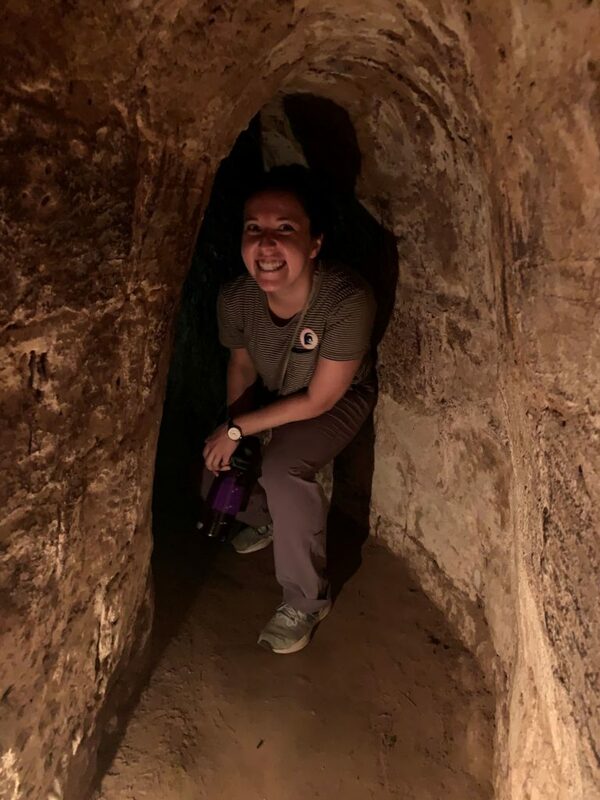 The tunnels are part of a massive network of underground tunnels the Viet Cong used against the South Vietnamese Army and the US Army during the Vietnam War. My favorite part of our tour was hearing the unexpected perspective our tour guide, Thong, shared with us. Perhaps it shouldn’t have been unexpected…but I never really thought about the South Vietnamese perspective. Thong is the first local who happily shared his dislike of the current government and proudly stated he’s never been to North Vietnam. He has cousins who live in Garden Grove, California (just twenty minutes from my hometown). His cousin was a general in the South Vietnamese Army and after their defeat, the US paid to relocate him to America because he would have been forced into a reeducation camp if he had stayed in Vietnam. 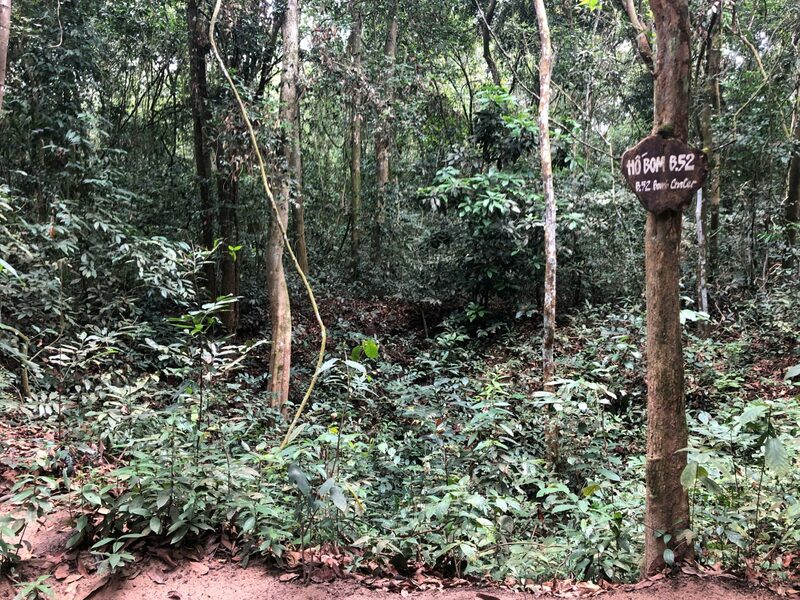 As Thong guided us through the jungle he was eager to point out that the sign claiming a “B-52 Bomb Crater” was just an exaggeration. 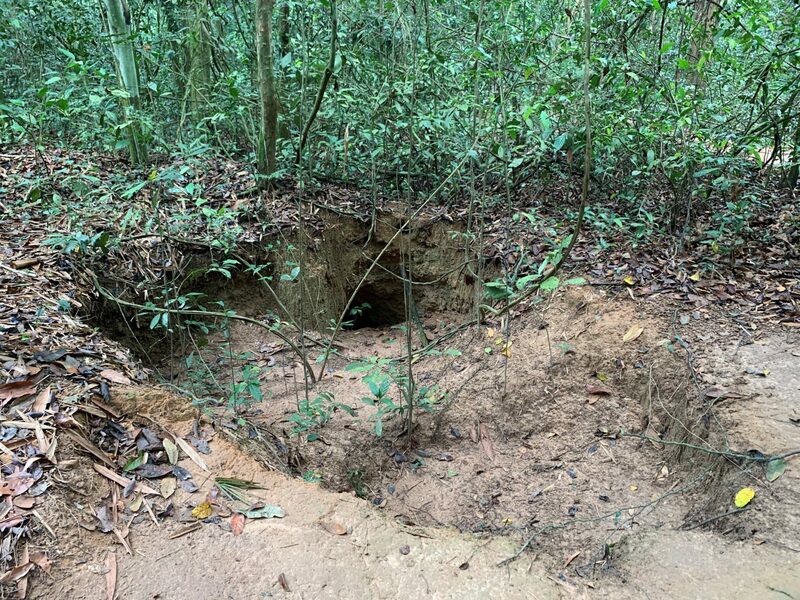 “Sure, it’s a bomb crater,” he told us, “but no way that was a B-52. They’re just exaggerating. They do that a lot.” Many times Thong muttered how pointless and stupid the war was. 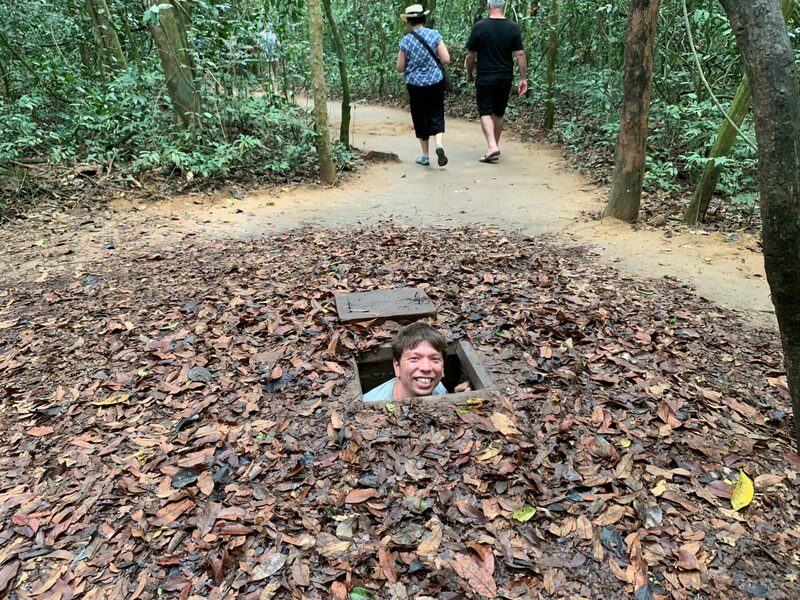 Thong was an English teacher for 22 years and has now been a tour guide for 24 years and is essentially an encyclopedia of hilarious English idioms. He picks them up from tourists, songs and the BBC World Service English learning program. 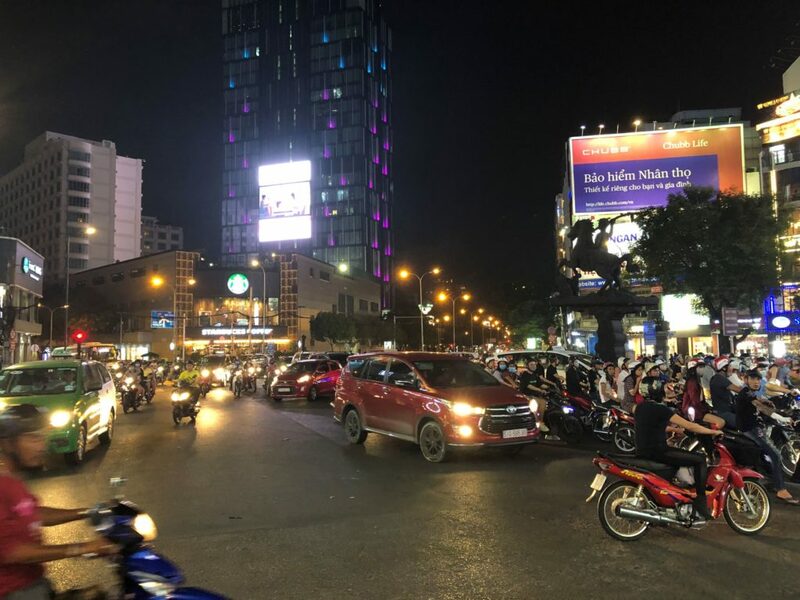 His favorite dialogue to repeat was, “But what about contraception?” with the quick reply, “Don’t worry, I’ve got a rubber.” I realize this blog has essentially become about Thong, but that is because Thong was the highlight of our time in Ho Chi Minh City. 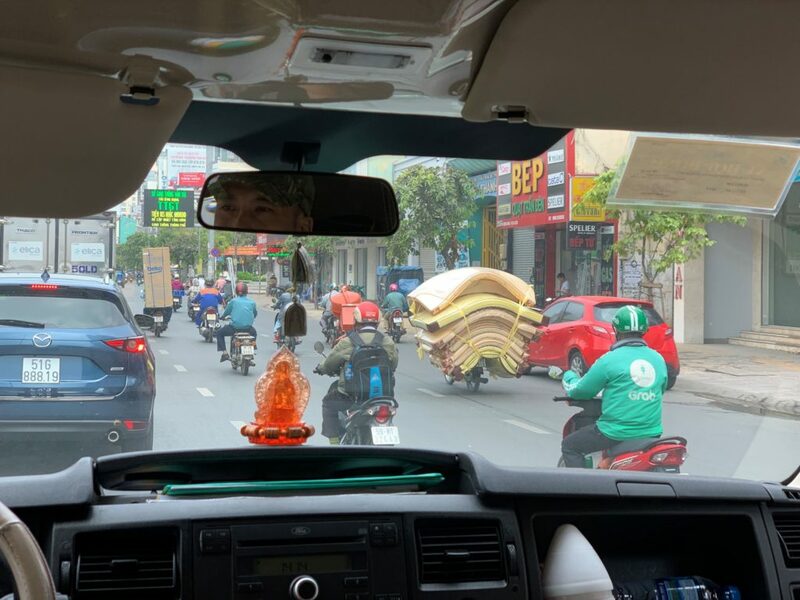 And I suppose that is true for all of our time in Vietnam; our hosts and guides have really made this country beautiful, and for all of them I am very grateful.